New York (AFP) - A movie produced by a Christian studio about a former employee of an organization that provides abortions who became a "pro-life" activist is proving to be a surprising box office hit. "Unplanned," which was released in theaters on March 29, has pulled in more than 8.6 million dollars in North America, according to Box Office Mojo. That put the film in an unexpected fourth place for the week behind the much bigger budget pictures "Dumbo," "Us," and "Captain Marvel." 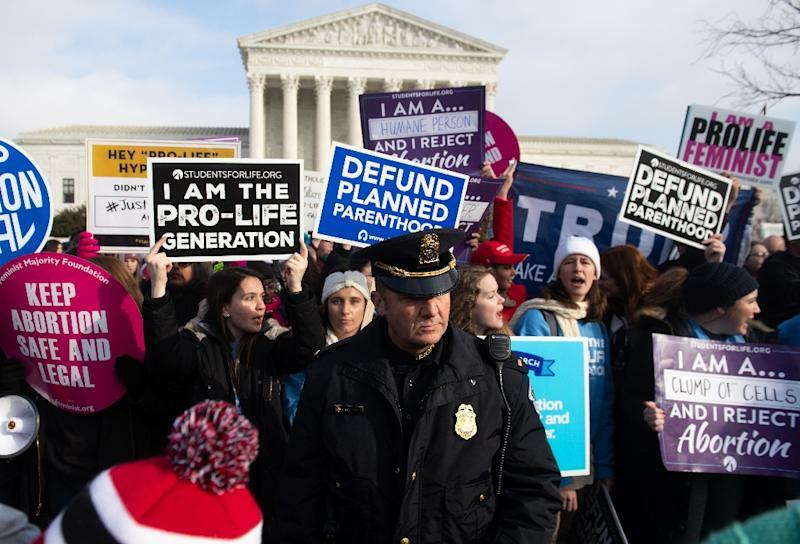 "Unplanned" comes amid a resurgent campaign in the United States by opponents of abortion, which was legalized in the United States in a landmark 1973 Supreme Court decision. Among those promoting the movie has been the deeply religious vice president, Mike Pence. "So good to see movie theaters across the country showing @UnplannedMovie," Pence tweeted. 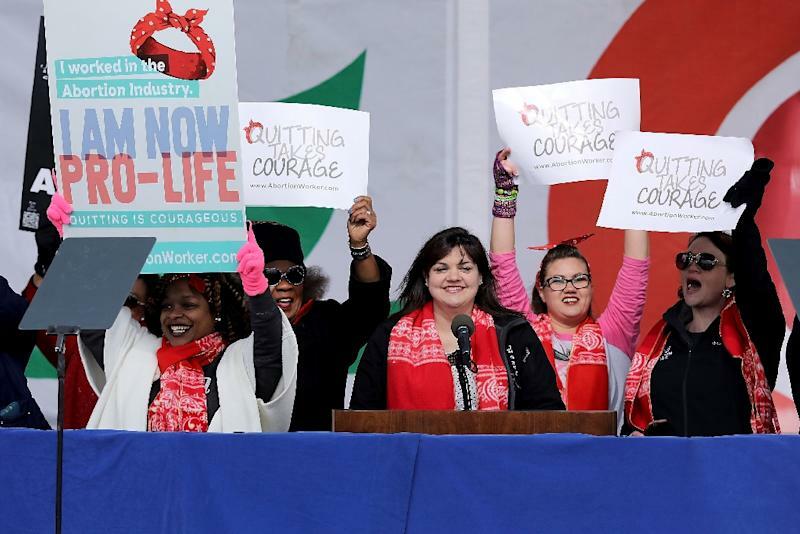 "More & more Americans are embracing the sanctity of life because of powerful stories like this one." Building on its early buzz, "Unplanned" is to be shown in more than 1,500 theaters across the United States this weekend, up from 1,059 the weekend of its release. Produced by the self-described Christian studio Pure Flix, "Unplanned" was launched with little advertising because most cable TV channels reportedly refused to air ads for the film. Anti-abortion groups have denounced this as part of an orchestrated campaign which they claim also included the film being attributed an "R" rating by the Motion Picture Association of America (MPAA). An "R" rating requires anyone under the age of 17 going to a movie to be accompanied by a parent or adult guardian. Fueling the criticism was the brief suspension by Twitter of the movie's account, which the company attributed to a technical problem. Writing in The Washington Post, columnist Marc Thiessen called "Unplanned" the "movie abortion supporters don't want you to see." "Unplanned" is based on a book by the same name by Abby Johnson, a former director of an abortion clinic in Bryan, Texas, run by Planned Parenthood, the largest family planning organization in the United States. Johnson recounts in the book how she had a "spiritual awakening" after personally assisting with an abortion. "Unplanned" has been dismissed by some critics as propaganda. "There have been films that treated Nazi doctors conducting evil experiments in concentration camps more sympathetically," said Frank Scheck in The Hollywood Reporter. Writing in the trade publication Variety, Owen Gleiberman said "Unplanned" "isn't a good movie, but it's effective propaganda." "'Unplanned' preaches to the pro-life choir, and it does so by making a case against abortion that's absolutist and extreme," Gleiberman said. The movie's co-director Cary Solomon shrugged off the criticism. "We didn't turn this into a propaganda piece," Solomon said in an interview with AFP. "We refused to do that. "We wanted to tell a true life story and let the truth be interpreted by people that see it," he said. "It's an exact retelling of the book," Solomon said. "Everything in the movie is based on her true story. "We didn't fabricate anything, we didn't make anything up." Most US states allow abortion up until 24 weeks. But there have been attempts in a number of states to restrict the practice. 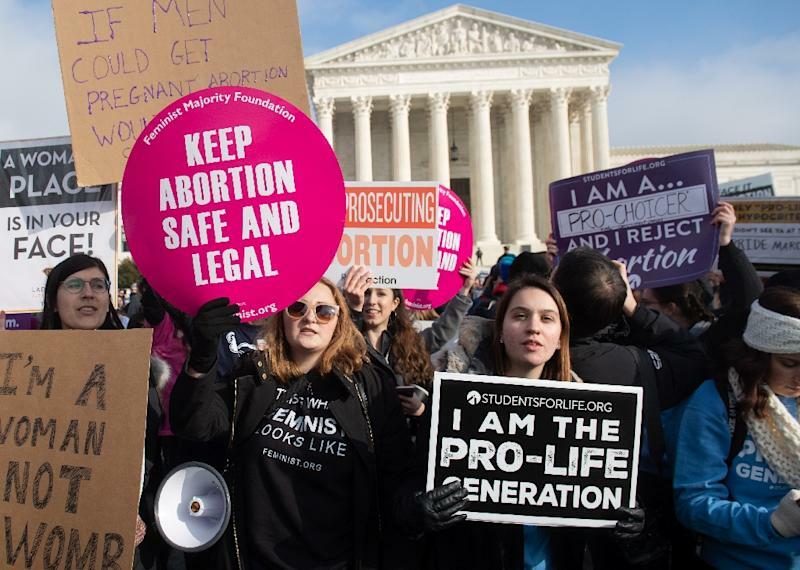 In Georgia, for example, state lawmakers last month passed a bill that would ban abortions once a fetal heartbeat is detected, which can be as early as six weeks. The bill is awaiting signature by the governor and is expected to be challenged in the courts.